Venice was a treat. June turned out to be an excellent month to visit; we had low-mid twenties temperatures and very mild crowds. If we travelled one block from the main shopping streets it was deserted. This is the *best* way to see Venice - off of the main thoroughfares. It was my most prolific location so far (shooting over 5500 images in two days). It will take me months to process my catalogue from this trip. Presently, we are in Florence, dodging thunderstorms and appreciating Michelangelo. 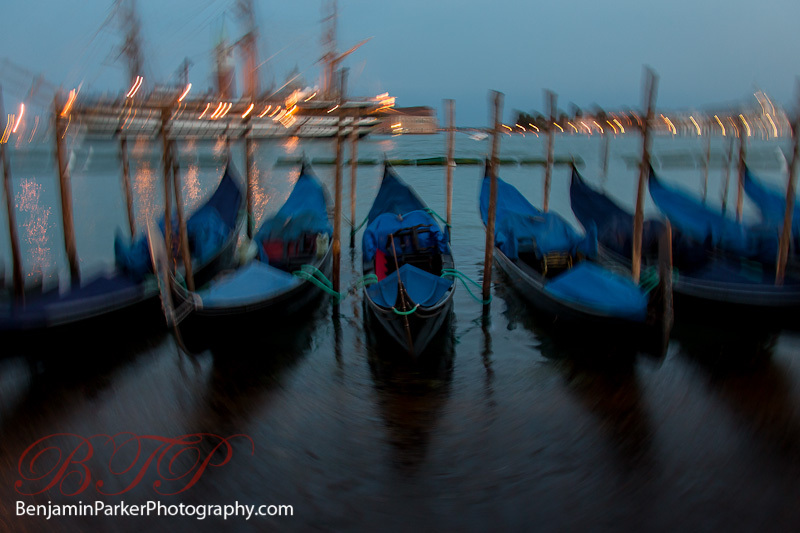 This image was taken from San Marco Plaza of the gondolas lined up to rest for the night.